Akula Satyanarayana, the Rajamahendravaram Urban MLA, has resigned from the BJP. Nothing wrong in that. People do change parties. He may have felt that he may not win on the BJP ticket. He may have felt that Jana Sena is good for him. Also, unlike many others, he has resigned from the MLA post. But, it is the slew of allegations he is making on the BJP that is surprising everyone. Did he realise that the BJP was not giving special status to AP just now? Did he find that the BJP has deceived the state on steel factory in Kadapa and Railway zone at Vizag? Why did he not realise this while he was clinging to the MLA post? In fact, he is on record supporting the BJP on these very issues all these days. Now, he is invoking the reasons that he rejected all these days. Why did he not resign two years ago, when the BJP point blank said that AP would not get special status. Had he done this, he would have ended up as a hero. 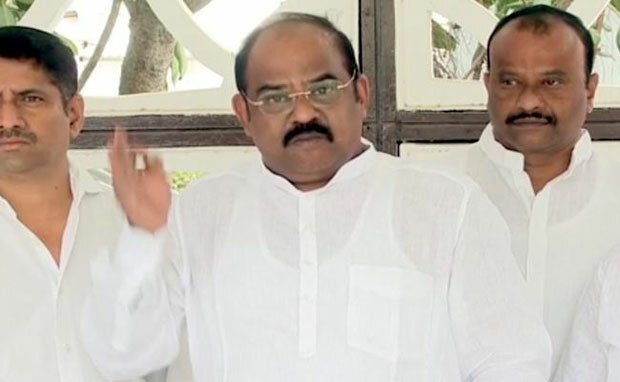 Reddy Vs Chowdary In Anantapur!